prayers and support over this past crazy year. Aren't these the guys who were supposed to be in Italy and back again by now? But for 14 months, we have been working and re-routing and applying and reaching out and reapplying and pursuing and investigating new routes, and the door to Italy, at least for now, is firmly closed. Rujerry and Jean William's travel visas have been denied several times, and after a year of asking the Lord to open that door, we at Emmaus started asking the Lord to open His door, and to make it too wide to miss. EBS President Matt Ayars spoke to an executive at Pioneers, a church-planting organization with a passion to see God glorified among those who are physically and spiritually isolated from the gospel of Jesus Christ. He immediately put Matt in touch with David*, a convert from Kotokoli, the major Muslim tribe of Togo, West Africa. "After my conversion in 1990, I faced terrible persecution from my family and the community," David shared with me this week, "But by God's grace through signs and wonders and through my personal testimony, all the members of my family have accepted the Lord, one by one. We are today 8 people following Jesus." "A few years after our conversions" David continues, "my wife and I clearly received a call from the Lord to raise an army of witnesses of the Lord Jesus Christ among Muslims. Most of our co-workers now are Muslim background believers, and together we face the growth of Islam fundamentalists and Muslim leaders and their intimidations. But the Lord who calls us is faithful." David's organization is at the forefront of disciple-making, evangelism and church-planting in Togo, where the speedy growth of Islam, the carelessness of churches, and the deeply rooted Voodoo in the culture are huge challenges. Togo's roots in voodoo stretch next door to Benin, the West African country widely seen as the birthplace of Voodoo. Benin and Haiti share an extensive cultural history, both through the old slave trade and through the implantation of Voodoo in Haitian society as a religious force. Several months ago, David asked if our uniquely-suited Haitian students or staff would be willing to help, and the doors Emmaus had been praying for started opening. The necessary person of peace has emerged, has already begun an established work in Togo, and has inspired the prayers of the Emmaus community. Not only do the Togolese people share French with Jean-William and Rujerry, but our Haitian brothers also have a unique understanding and a lifetime of experience with the Voodoo ties that snare and bind the Togolese people. Rujerry and Jean-William have now graduated (May 2018), are both on staff full-time at Emmaus, and are well-equipped in the work most needed: pastoring, evangelism, and discipleship training. All of the funding needed for a three month missions trip for both of them has already been raised, thanks to many of you, and finally, visa applications have been APPROVED through the Dominican Republic, Europe and on to Togo, and passports are in hand. Their three month trip, set to begin in January, 2019, will be two-fold. They will fly into Lom é, and spend the first two months in the extreme north in Nano. They will help the missionaries there in their evangelization work among Muslims. After the first phase, they will work in Nots éin the South with David, "where Vodou reigns", for a month, before returning to Haiti. "Just three weeks ago," David shares, "The Lord glorified his name by using one of our students to make a paralyzed lady walk. He just said a word and the Lord performed His miracle. The Lord spoke to my father, once a leader in the mosque, in a vision in his mother tongue, saying, 'follow me', and he came to serve the Lord fervently. These things are a part of our daily life working for God in Togo. Having your students join us for such a time as this will be a tremendous blessing." "I am a little nervous, for sure," Jean-William admits as he, Rujerry and I talk about the upcoming trip. "But I'm really honored to have this opportunity to participate in what God's doing to redeem His world. Missionaries coming OUT of Haiti are just so rare, and while I'm unsure about encountering a totally new culture and new people, the more I study, the more I think there will be many similarities." "After all, we have a Biblical command to GO. This isn't our idea," Rujerry adds, slapping one hand into the palm of the other, the common Haitian symbol that something is out of your control. "The Gospel is needed everywhere in the world, and sometimes God will use a foreign person to bring the Word in a unique, fresh way. 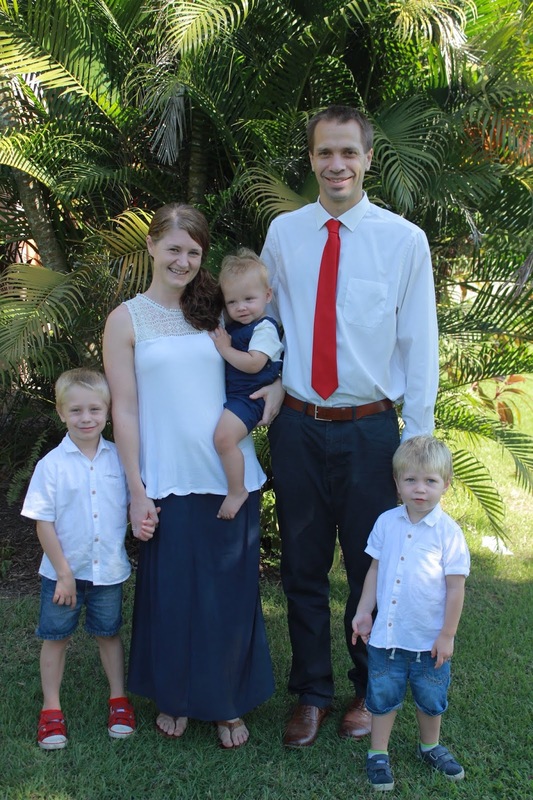 Since I was a child, I have felt a call to be a missionary, and we are grateful to be a part of God's plan." Emmaus is grateful to be a part of God's plan, too, continuing to develop Christ-like leaders for the transformation of Haiti...and the world! As their January trip approaches, we will keep you posted, ever grateful for your help and prayers! Follow us on Facebook or on Instagram for daily updates and photos, and please continue to lift up His people, like Jean-William and Rujerry, in Haiti! So this week has been busy and interesting. Bill was back to being a student this week with his module on research methods every afternoon from 1-5pm aswell as teaching Monday, Thursday and Friday. he was scheduled to preach in chapel on Friday but needless to say he swapped with someone. Bill is glad this week is over and he can get back to being a teacher, although he does have homework to do. Altidor, my PT tech was throwing up on Friday morning. After that Bill began calling me typhoid Mary! We would appreciate your prayers for everyone to get better and stay better and thankfully today they were heading in that direction. Its much more fun when the boys are like this! Things are busy in the clinic and Altidor and I barely even get a break for lunch we have so many patients. On Friday I had a patient who was in Port de Paix last weekend when the earthquake hit. He had a stroke on Friday and was in the hospital over the weekend. The hospital was full and once they felt the ground move, all the families ran outside and left all the sick people lying in bed!Thankfully the hospital was not damaged but my patients family told me stories of people who lost their homes, who are sleeping in the street and many who were injured. They came to Vaudrieul to visit friends and are heading back to Port du paix next week. Again and again we see patients who just should not be dealing with the pain and disability with comes from not having a good health care system. One lady in particular stands out from this week, Altidor passes her on her way to work everyday and told her to come and see us. She is 44 and has been unable to walk or stand for at least the past year and a half. Getting a history in Haiti is very difficult so the story of how she got to where she is is a bit sketchy but she has been to many different doctors, had X rays and even a MRI scan and from every doctor all she has been told is there is nothing wrong with her. She is extremely weak and has some neurological symptoms in her legs, Altidor and I have no idea of a diagnosis but we are going to try to treat her a best as we can. She is being looked after by her three children, aged 22, 15 and 12. 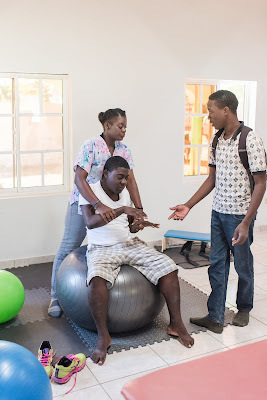 I am always sharing with Altidor that having a disability in any country is difficult, but in Haiti where there is a lack of wheelchairs, poor roads and no footpaths, no hoists and no equipment etc life must be so so difficult. Yet what we see again and again is resilience from our patients. Its been raining every night for the past few weeks which, after months of drought, has been great for the farmers. Unfortunately it has been awful for the road which is getting visibly worse every day I drive it. This is my commute to work... anything like yours?? As I mentioned in the last post transitioning back to Haiti has not been as easy as I thought it would be. I've been getting annoyed easily and begin thinking things like if we weren't in Haiti...the boys would be able to see their cousins and grandparents ...Sam wouldn't be so exhausted and have so many melt downs...my neck and back wouldn't be half a sore because I wouldn't be driving on a bumpy road every day..
Usually when God wants to speak to me he says the same thing a few times and I know he is teaching me something new. 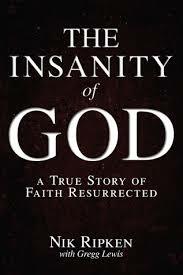 Last Friday night we watched a film with our neighbours called the insanity of God...boy was it challenging. It told the story of a couple who moved to serve God in Africa. Then later in their ministry they were thinking of ways they could support the persecuted church and they went to many different countries, interviewing Christians and asking the question is Jesus worth it? I'd love to share one particular story with you but maybe you should just read the book or watch the movie. Anyway the couple tell stories of Christians they met from different countries who had been thrown in prison, beaten, tortured and had many other awful things done to them simply because they follow Jesus. Many of these people have been through years of intense physical, psychological and spiritual suffering and yet they all agreed yes Jesus was worth it. That puts living in Haiti into perspective. Just two days later on Sunday evening Bill and I were listening to a sermon by David Platt. We have been working through his series on 1 Corinthians and last Sunday evening brought us to chapter 9, the sermon was entitled the cross and christian mission. (you can listen to it here). David Platt is very passionate about mission and his sermon hit home. One of the questions he asked was, do we as Christians want to get to the end of our lives, look back and realise we completely missed our purpose. Were we too wrapped up in church, in family life, in work etc, not that there is anything wrong with those things, but were we too engrossed in them to do what God has asked us to do. And what that is is to go into all the world, preach the gospel and make disciples. He was not saying we all need to pack our bags and move overseas but that each of us needs to be involved in the great commission. For us, at this time this is why we are in Haiti. So on those days when I really would prefer to be at home or when the boys ask if they can go to Bangor to see their cousin Jack because they miss him , its in those moments I need to ask myself is Jesus worth it? And the answer...of course he is. If Jesus gave up his life for me then what can I give him but my life. On a completely different note, this weekend we experienced two earthquakes. A 5.9 on Saturday evening around 8pm and the next one, 5.2 on Sunday around 4pm. The epicentre was about 75miles from us in the northwest of Haiti. We are all safe and there is no damage where we are but it was definitely scary. As far as we have heard 11 people have died and others are injured in the Port de Paix area. I, along with probably all of Haiti couldn't help but think of the 2010 earthquake in Port au Prince. I couldn't believe how scary it felt for us and we were miles away from the epicentre, I can't even imagine what it would have been like in Port au Prince that day. My mind is going back to the hundreds of people I worked with in 2010 and how they must be feeling right now. The emotions and memories that are flooding back must be so strong and overwhelming. Please remember the people of Haiti today and pray for those affected at the weekend and also for peace for those who were in Port in 2010. Yveline...lost her husband and two children. to walk with her prosthetic leg. for days and came to me unable to walk. Joseph who lost both his legs but once he got his prosthesis he did great. who sang praise and prayed every afternoon in their tent. was born safely in August of 2010.